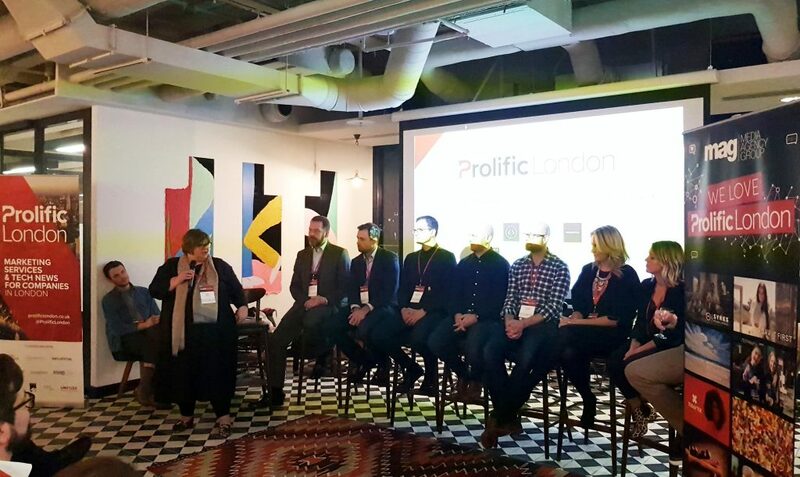 As one of the founding partners of Prolific London, Influential was proud to support its launch event on the 7 February 2019 in Shoreditch. The platform aims to replicate the success of Prolific North by becoming the go-to website for news, events and jobs as well as sharing features on the city’s creative sector, with a particular focus on mid-market marketing and tech news. Influential managing director, Sara Wilde McKeown, spoke on the evening, addressing an audience of more than 200 influential marketing, tech, creative and digital professionals. Discussing the increasing importance of purpose to brands and organisations across all sectors, she also noted that the trend of media and marketing landscapes converging, showed no signs of slowing down. Other keynote addresses on the evening included Ben Irons, Sales Director, UK Strategic Sales, Microsoft; and Kristal Ireland, Head of eCommerce and Retail Technology, London North Eastern Railway. While Ireland – a thought leader in AI having studied the philosophy of it at university – spoke of the need to drive up diversity in the sector. She said that businesses need to focus on ‘leaving the door open’ and pursuing an inclusive recruitment strategy to succeed. Sara Wilde McKeown said: “We’re delighted to support the launch of Prolific London. Over the past few years, Prolific North has become the go-to resource for information on creative, digital and tech news. “There’s a fantastic opportunity for them to replicate that success in London, particularly by tapping into the gap for mid-market tech news. That fusion of entrepreneurial businesses operating in that space is what everyone wants to read about. Editor David Prior said: “It’s great to see so many faces here, new and old. We’ve been wanting to launch in the capital for years now and I’m thrilled that it’s finally happened. Watch the short video from the event including an interview with Managing Director of Influential, Sara Wilde McKeown and Managing Director of Prolific London, Nicky Wake. One such event is the Prolific London Awards taking place on 16 July. The awards will be an opportunity to celebrate excellence and reward the exceptional talent in London’s creative and tech industries and will be held at the Montcalm Marble Arch Hotel.